Nearing the end and what a journey it’s been! It’s been a while since my last blog, and I have to say there’s lots of things for me to fill you all in on! I am now at the final part of my Bolshoi journey and what a rollercoaster ride of emotions it has been! It has been packed full of highs and lows, my life over the past three years has never been dull or quiet and I wouldn’t change it for the world as it has moulded me into the person I am today! I have fought tooth and nail with every emotion in my body to get to this point in time, and now to be able to stand proud (limbs still attached) and tell you all that my graduation ceremony is a stone throw away (June 21st) is such a fantastic feeling! The weight on my shoulders from the struggle of past three years knowing that I wanted to achieve my goals and also not let anyone down that supported me has all been worth the sweat and tears … I now slowly feel it all lift from my shoulders as I approach my last hurdle! Genesis Foundation, and everyone that has supported me and fellow bloggers … I have almost done it! My graduating exams began with acting on the 20th of March and I have to say I felt very calm for someone who was facing her final dance exams. I had to perform two pieces, the first piece I was to perform was a comical doll which is woken only once a year by the full moon at 12 am. I had to show within my piece my realisation that I was no longer lifeless and the comedy aspect was introduced as my jelly like body slowly came to terms with the senses of a human body such as sight and breath and of course simple tasks such as walking dragged a little smile from the crowd of onlookers. This was a very upbeat and light hearted piece that wasn’t such a challenge for me as an actor, but it got my creative juices flowing and has improved my improvisation skills, which is always a bonus to any performer. Also the commission were present for each exam, marking us on our every move which made everyone very on edge. It is standard procedure that as the exam finishes, we usually wait half an hour and we would receive our exam the results, however 3v boys had their ballet exam straight after ours and the commission were dragged to the next studio to grade their exam. We were told that we would have to receive both exams mark after duet … the wait was very nerve wrecking and certainly was not fun! 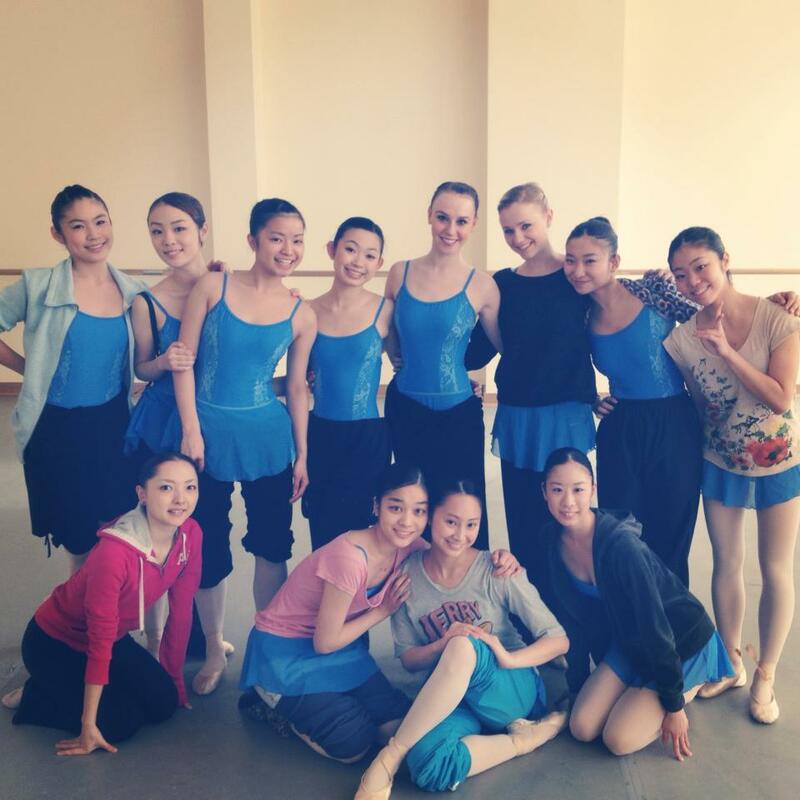 The Pas de deux exam was very limited for most of our class as we were amalgamated with 3v Russian girls making the numbers around 20 girls to 5 boys therefore there was no way that each girl could participate in every exercise. The exam started off well until my partner became lazy and felt he no longer had to impress the commission, his true colours were finally shown as he let go of me a number of occasions during mid-dance and then in my last exercise dropped me mid-air through his lack of interest! I have never been so angry in my life and my emotions became overwhelming leaving me in a puddle of my own tears wishing for nothing more than my mum’s arms around me for comfort. After the two exams came to an end we had the pain of waiting for the final results. I must say, due to the events before I felt very unsure on how my marks would go, but I am proud to tell you all that even with the unfortunate events in Pas De Deux I passed both exams! Pas De Deux is really difficult to do with someone who is not 100% knowledgeable of how your body moves and your partner must be able to counter act the mini niggles and mishaps that sometimes occur during a performance. I believe this is something that can only be improved through practice and I have no doubt that when I am given a job that suites my dance style and personality then important things like Pas De Deux will just fall into place and my comfort and safety levels will grow with the right partner. The 9th of April was my final graduating Character Dance exam and this one was by far my favourite. I loved this exam because it was like a performance rather than an exam as it consists of various types of national dance from all around the world and we performed each part one after the other, being all different tempos, all carrying different emotions and all fun to dance in their own way. 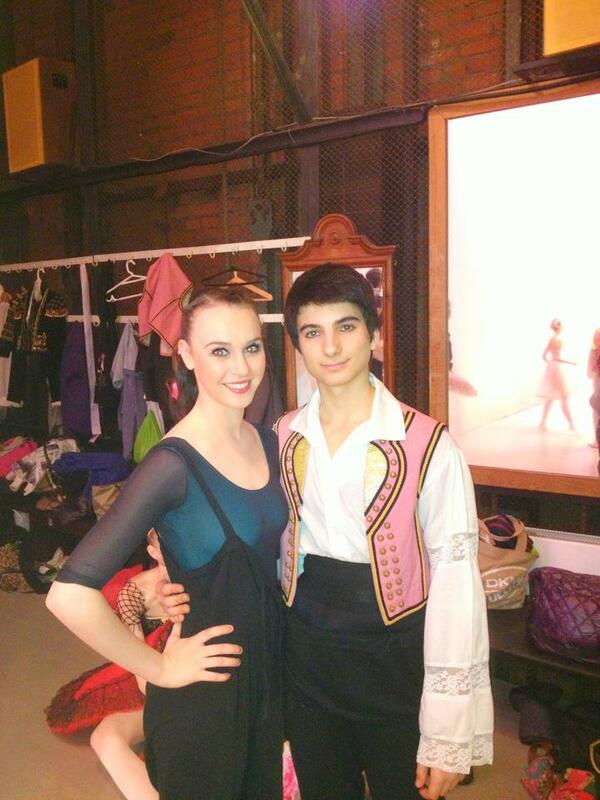 I was involved in a variety of different group dances from Spanish to Russian to Polish and more. Throughout every rehearsal for this exam I loved building my own little stories in my head of what kind of person I was portraying and what background my character had for each individual dance. This technique is something I love to use as I believe that if you have a full process in your head of who you are at that very moment and are able to bring your emotions forward through thinking about your characters life and possible hardships then the audience will be fully in tune with your movements and your character. Included in my exam was an Irish solo piece which I choreographed alongside one of my new friends who started in the academy this year. His name is Alessandro. This piece was so upbeat and so much fun to perform and it had me smiling from ear to ear throughout. Irish dancing movement is not well known within the academy, and the quick footwork and rhythmic steps fascinated many of the judges. I absolutely gave it my all in this exam bringing everything I had learnt with the Bolshoi over my past three years, but also keeping my own identity, which I feel is very important. I entered my first exam classes with a smile on my face and determination to succeed and by God did I leave that exam with the exact same determination. It paid off (thankfully) and I was given a fantastic mark for my character exam, I really felt my personality had for once came shining through and it let them all see the true me. 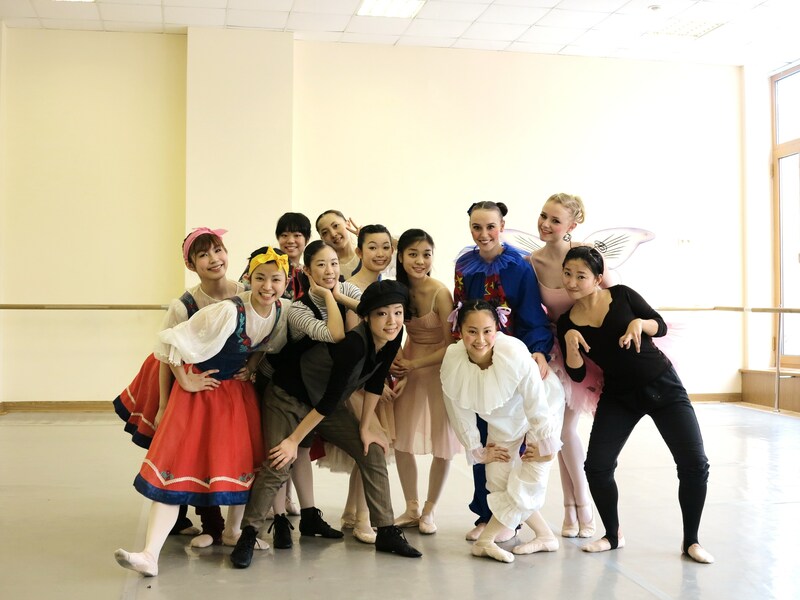 To end my three years of training with the Bolshoi Ballet Academy on such a high note was a great joy and relief and is something that I can always hold dear to my heart and will never ever forget. Tatiana Petrova is a wonderful teacher and any future child that is blessed with her teaching skills over the next generation of Bolshoi students are very lucky indeed. I would like to thank her and Natalia Igorovna Revich for their commitment and belief that they have shown towards me over this past three years and I will use the tools that they have given me to build my career on to new heights. As you can probably guess I am very proud to have achieved my results and to have passed all exams, now to finish my last academic exam. So fingers crossed and wish me all the luck in the world and I will keep you all posted on any developments over the next month.